Discussion in 'Lexus Lounge' started by krew, Mar 7, 2017. 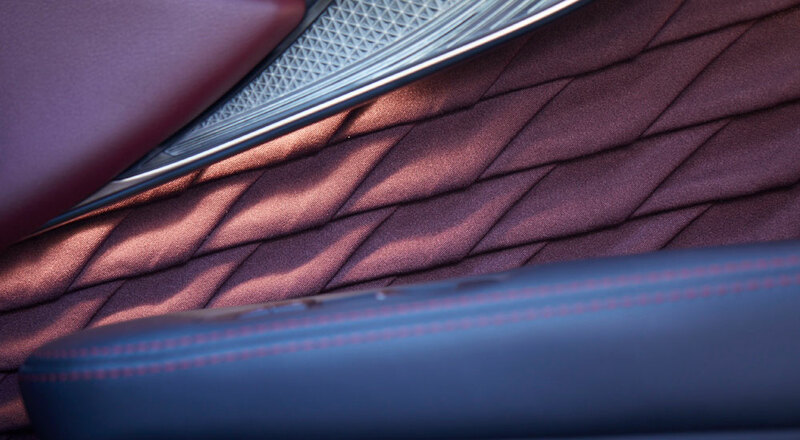 Lexus raises the stakes for flagship sedans with new material options. Andyl, Dan, Den and 1 other person like this. Lexus IS inspiring every single day with what they are doing and how amazing their thinking goes!! Lexus Cohen, Alexander Li, maiaramdan and 9 others like this. Alexander Li, Hamed Al Ketbi and Ian Schmidt like this. Refreshing original detail that wreaks luxury! Gecko, RAL, Andyl and 1 other person like this. Really amazing --- I mean the craftsmanship and the visual cues . It does take LS to the next level. And the video is great too. Awesome interior, but am I the only one to notice the different placement of the memory seat buttons in the picture and in the video? I much prefer the former. Joaquin Ruhi, RAL and meth.ix like this. am I the only one to notice the different placement of the memory seat buttons in the picture and in the video? RAL and ydooby like this. Pretty sure the video is pure CGI, and it's probably based on older prototype. Even the shape and the look of the trim piece is different, so yeah i think you're right. 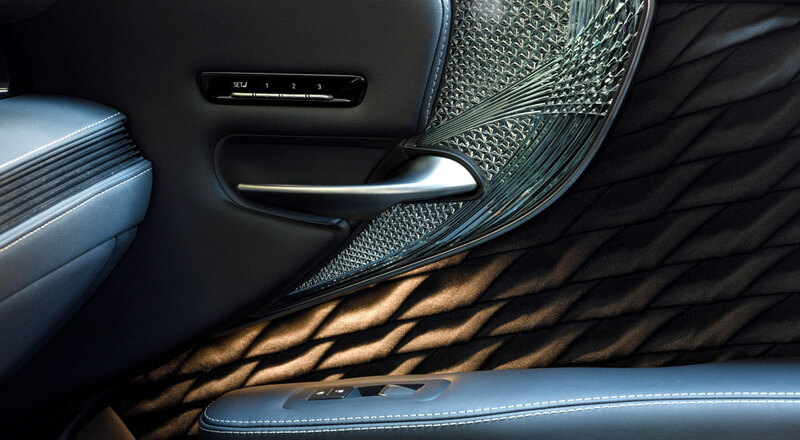 Lexus uses of hand-cut glass is a world first in an automobile. It took four years to develop the fabric design, with every panel folded by hand. Ian Schmidt and Gecko like this. Alexander Li, Trexus, CIF and 1 other person like this. To me it looks less like flickering flames and more like a painting of ripples in water. But it looks amazing regardless of what you Rorschach out of it. Alexander Li, Joaquin Ruhi, bogglo and 1 other person like this. Extensive development for exclusive interior. Ok.. Maybe it's me... 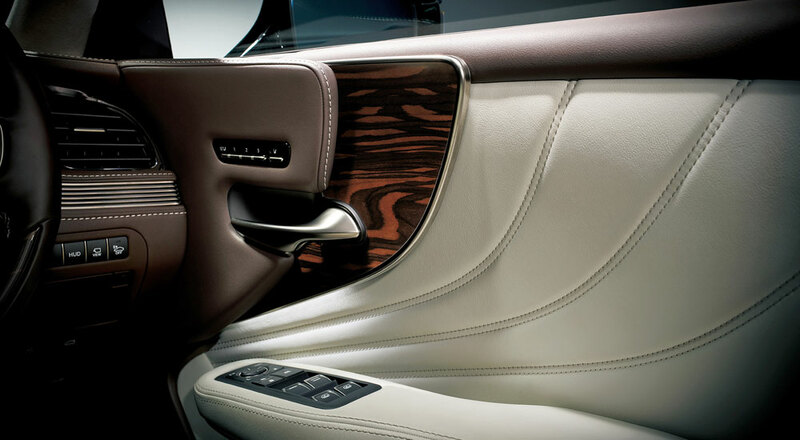 But I can't seem to find that color palate on the USA Lexus website when I build out my LS (glass with light blue/gray leather with the tan silk).. 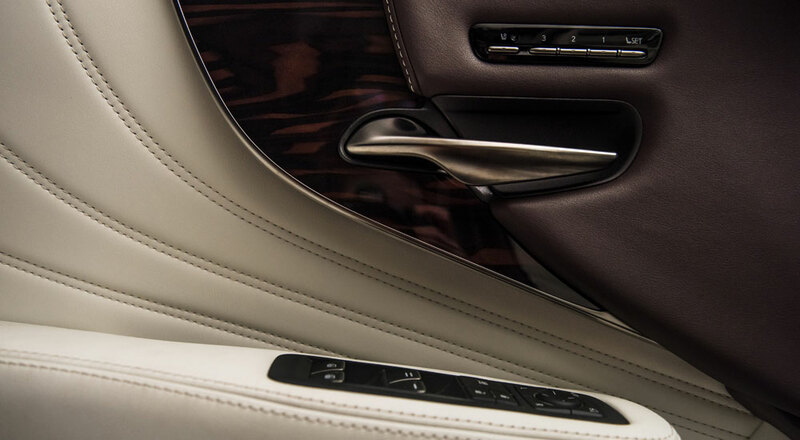 The Japanese Domestic Market (and even Europe, to some extent) offers a number of interior combinations, materials and options unavailable in North America. It seems that, sadly, this is one of those.